Ceramic tile mural. Designed to be modular, mural can be re-arranged into any configuration and any sequence. Comes with hidden wooden floating frame back and wall cleats for easy hanging. 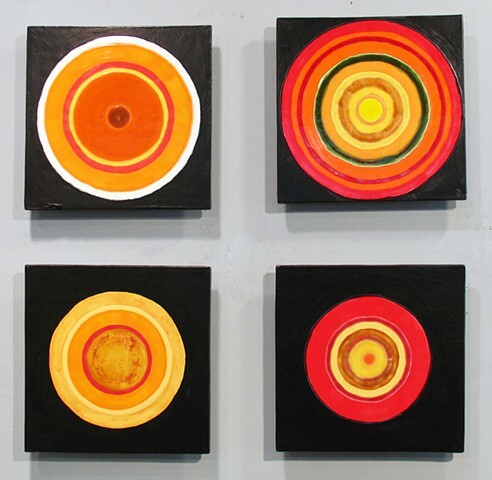 dimensions variable, shown 28" x 28" x 2"